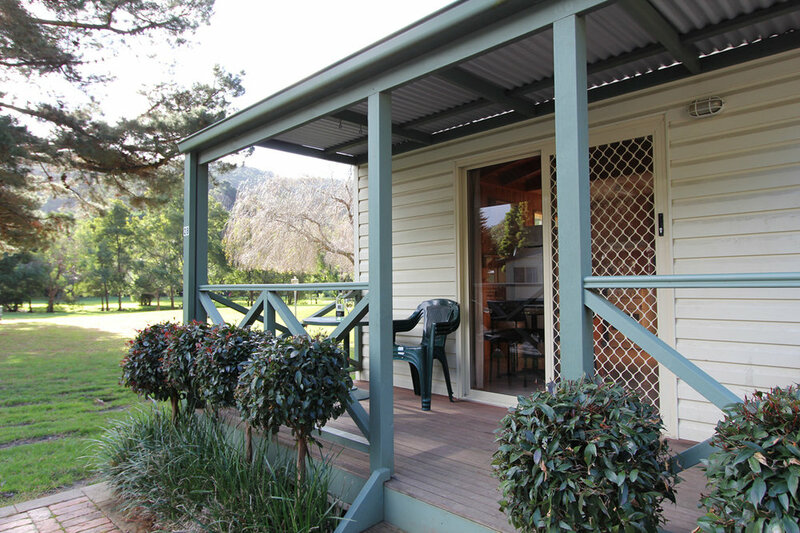 Our Ensuite Cabins are the perfect budget option if you are looking for self-contained accommodation in peaceful surrounds. We currently have two Ensuite Cabins with one sleeping up to five and the other sleeping up to six. Both have a queen main bed made up with linen supplied and bedding can be hired for the second bedroom or you are welcome to bring your own. There is a fully equipped kitchen and lounge complete with DVD and TV.